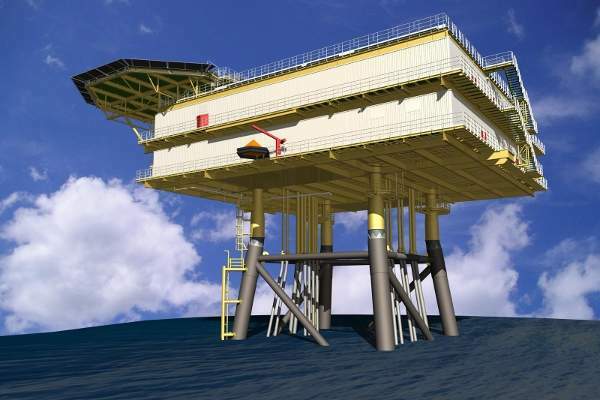 Artist’s impression of the German offshore wind farm’s 75m-high and 3,200t substation. Image: courtesy of Vattenfall. The wind turbines were installed deploying Swire Blue Ocean’s Pacific Osprey installation vessel. Image: courtesy of Vattenfall. The turbine foundations were installed using Seafox Group’s Seafox 5 vessel. Image: courtesy of Vattenfall. The 288MW DanTysk offshore wind farm is located approximately 70km west of the island of Sylt, on the German Danish border in the German North Sea. 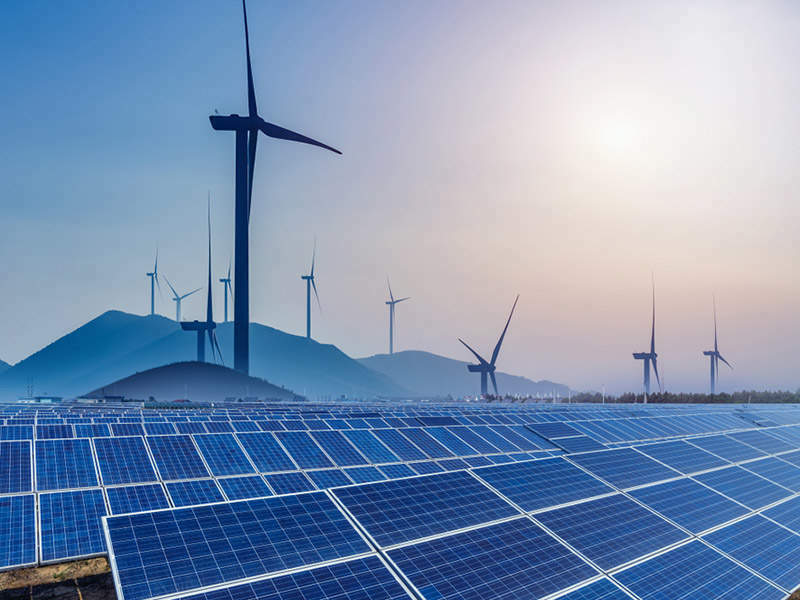 With an output capacity of approximately 1.3bn kilowatt hours (kWh) a year, the wind farm is capable of serving approximately 400,000 households, based on a consumption rate of 3,500kWh a year. 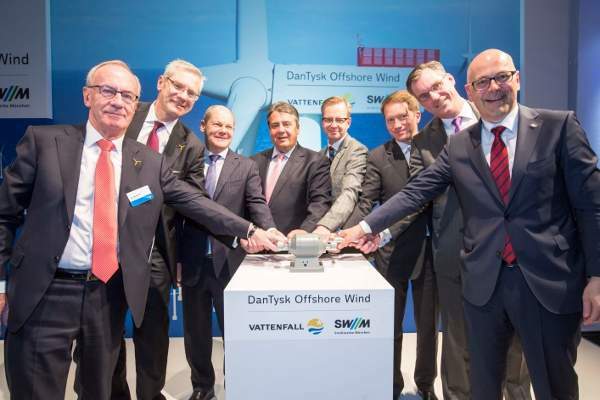 The project was developed by DanTysk Offshore Wind, a joint venture (JV) of Vattenfall (51%) and Stadtwerke München (SWM 49%). Vattenfall is responsible for the construction and maintenance of the offshore wind farm facilities. The construction activities were initiated in early-2012, the installation of the wind turbines was performed between April 2014 and August 2014, the commissioning phase was initiated in December 2014 and the wind farm was officially inaugurated in April 2015. The project was developed with an investment exceeding €1bn ($1.4bn). Covering an area of approximately 70km², the German offshore wind farm is equipped with 80 Siemens SWT-3.6-120 wind turbines installed at water depths ranging between 21m and 32m. The turbines have a rotor diameter of 120m, a hub height of 88m and an overall height of 148m above the water surface. The turbine towers are placed on top of transition pieces, which are further supported by monopile foundations installed 32m beneath the water surface and 32m beneath the seabed. The offshore wind farm is further equipped with a 75m-high, 3,200t three-decked substation and a 20m-high and 2,500t accommodation platform, capable of housing up to 50 people. The output from each turbine is conveyed to the wind farm’s 155/33kV offshore substation via 33kV AC inter-array cables covering a combined length of 111km. It is then conveyed to the grid operator TenneT’s SylWin alpha offshore converter platform where the power is converted to high-voltage direct current (HVDC). The HVDC is transferred via a 205km-long DC cable to an onshore converter station located in Büttel, Schleswig-Holstein, where it is re-converted to AC before being supplied to the German grid. 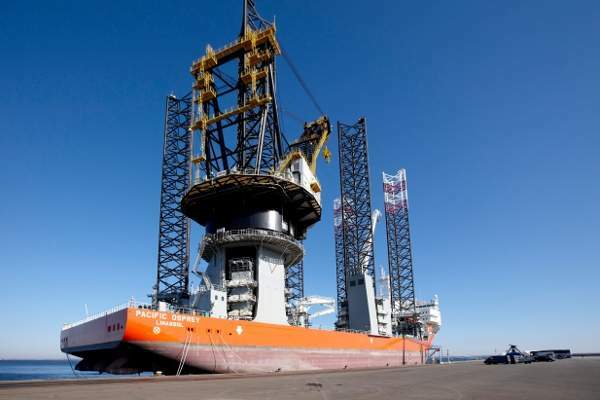 The wind turbines were transported and installed deploying Swire Blue Ocean’s Pacific Osprey installation vessel, whereas the turbine foundations were installed deploying Seafox Group’s Seafox 5 vessel. The inter-array cables were installed deploying Visser & Smit Marine Contracting’s Olympic Taurus cable-laying vessel and buried underground deploying the Maersk Lifter trenching remotely-operated vehicle (ROV). "The offshore wind farm is further equipped with a 75m-high, 3,200t three-decked substation and a 20m-high and 2,500t accommodation platform, capable of housing up to 50 people." Siemens, the turbine supplier for the project, is also responsible for providing turbine service and maintenance for the first five years of operations. 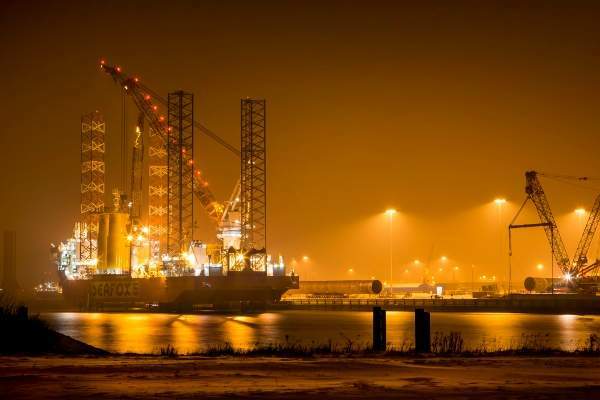 The infield cabling and burial contract for the project was awarded to Van Oord, whereas the termination works were performed by VSMC, a JV of VolkerWessels and Boskalis. The supply and installation contract for the offshore substation was awarded to the Strukton Hollandia JV. The electric actuators for controlling the butterfly valves on the offshore substation were supplied by Rotork. The JV of Aarsleff and Bilfinger Berger was the production and installation contractor for the monopile foundations. The offshore grouting inspections for the monopile foundations were rendered by WTM Engineers in collaboration with IMPaC. SeaZip Offshore Service’s SeaZip One and SeaZip Two fast crew suppliers (FCS) were used for transporting personnel and freight during the construction phase. The supply contract for the accommodation platform was awarded to Nobiskrug of Rendsburg, who subcontracted L-3 SAM Electronics to supply and install the electrical system package. Dörken MKS-Systeme develops and manufactures micro-layer corrosion protection systems (MCS). MCS are used everywhere, where modules and components need to be protected against corrosion and other influences. 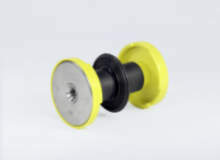 Their typical use is within the automobile, wind energy, truck construction and aerospace sectors.